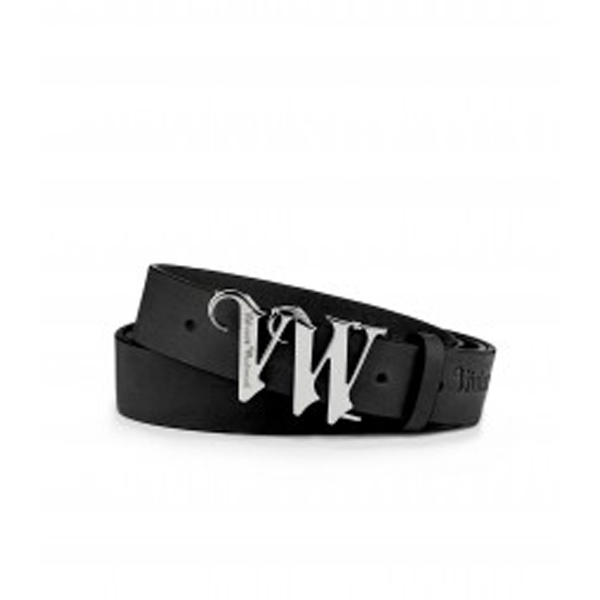 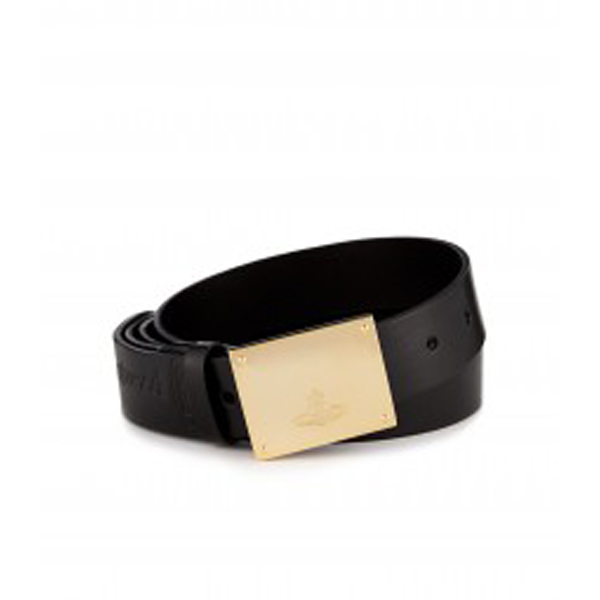 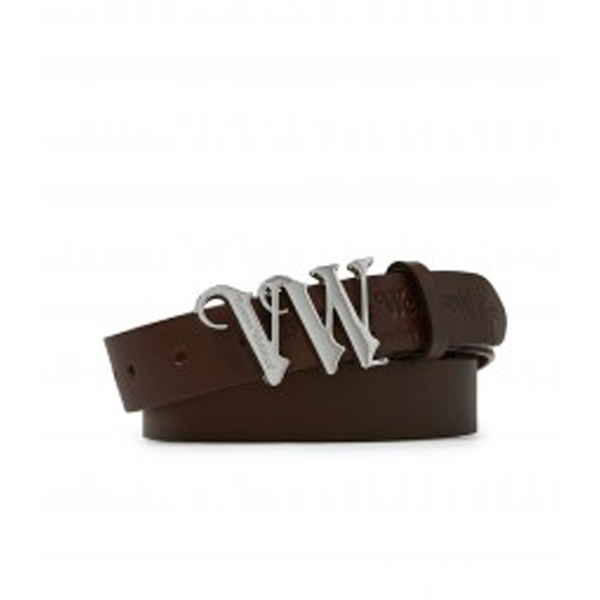 An ideal belt for any occasion, Westwood introduces a gentleman's essential for Spring/Summer 2015. 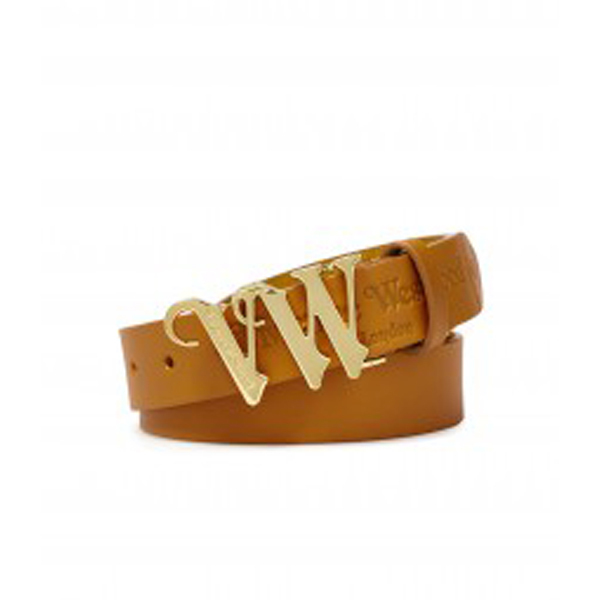 Crafted from brown leather, the curved edge holds 'Vivienne Westwood' embossing while the gold buckle is detailed with the signature Orb. 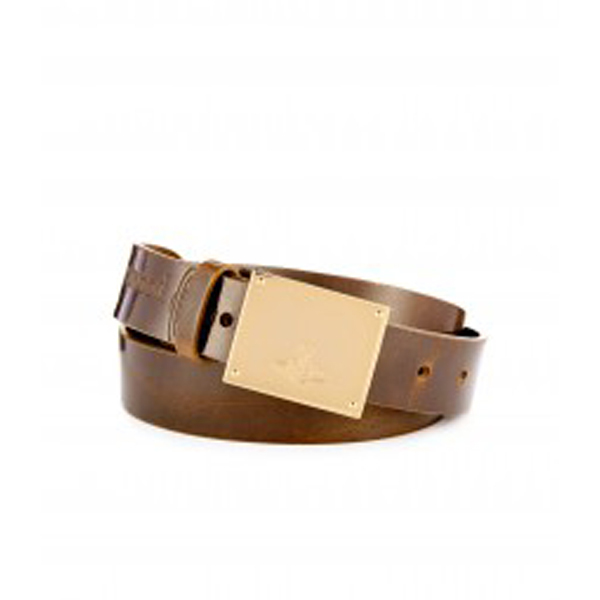 The Orb engraved stud can be unscrewed and the strap cut to size.